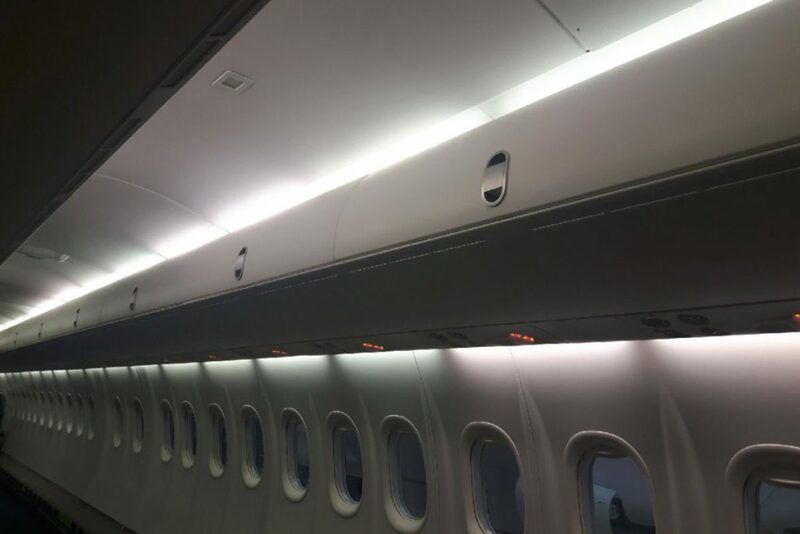 GAL Aerospace of Montreal is now fully certified by the Canadian, American and European aviation to provide increased overhead bin capacity for regional airlines operating Dash 8 Q400 aircraft with classic interiors. Described as a plug-and-play replacement for the original bins, GAL’s new program is in part designed to extend the service life of Bombardier Q400 aircraft. Insufficient overhead bin space, explains GAL Aerospace, poses challenges to airlines in terms of on-time departures, frustrated passengers and cabin crew, and expensive gate check or plane side service. GAL explains its replacement overhead bin product is specifically designed to accommodate standard roll-aboard bags. “The Q400 is an incredibly versatile aircraft that will continue to play an important role in the regional market for many years to come. Our overhead bins and other regional aircraft interior products will enhance the customer experience, reduce the cost for the airline, and allow better service integration during fleet expansions,” said Glen Lynch, president and CEO of GAL Aerospace also notes the company’s larger overhead bins, and other regional aircraft interior products, allow for better service integration during fleet expansions. “The Dash 8 family of aircraft is part of the fabric of the Canadian Aerospace industry and we are proud to play a role in supporting the global operators,” he said. GAL Aerospace focuses on integrated cabin interiors for commercial, regional, and business aircraft. This includes services around design, engineering, manufacturing, STC development for stowage systems, bulkheads, galleys, and lavatories, headliners, sidewalls, window shades, upholstery and LED lighting systems.